How do you achieve the pallid, gray skin tone of a zombie without infecting yourself? You apply this Gray Zombie Make-Up! Now you can achieve a pale and pasty zombie look without turning yourself into a ravenous undead monster. Although, because of the pale, zombified complexion, others will not realize that you are not actually a zombie and will likely steer clear of you. 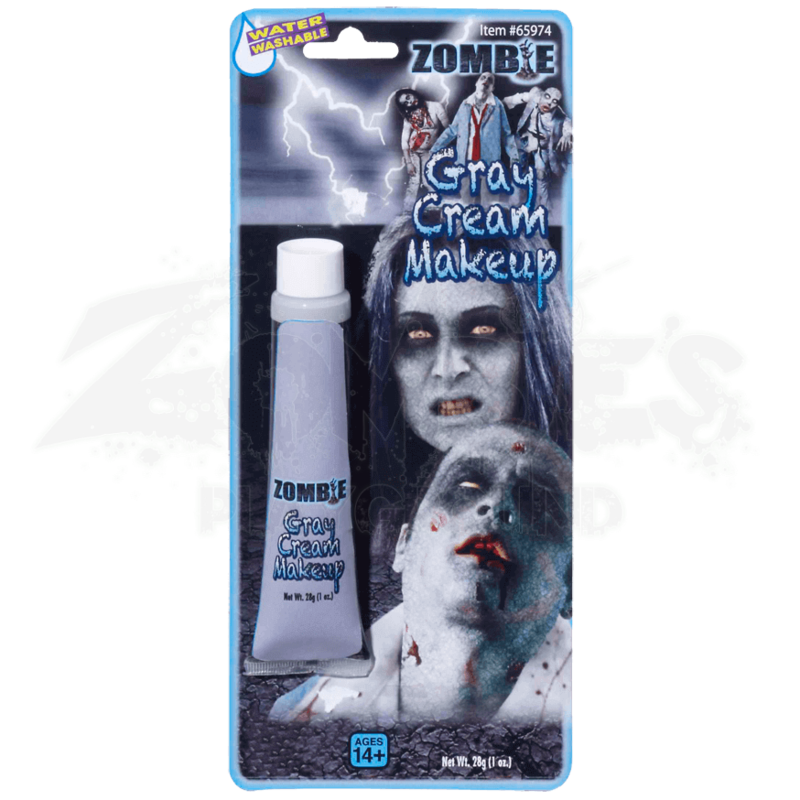 This gray cream is perfect for creating a working zombie complexion that will only enhance your undead look. Each tube contains approximately 1 ounce of make-up and is water soluble, so it can be washed off with warm, soapy water. Additionally, the tube is small and lightweight, so you can carry it along with you in order to apply any re-touches you might need to your zombified complexion. Whenever you plan on going out into the wide world as a member of the walking dead, make sure you look the part and apply a fine coat of Gray Zombie Make-up.